Be A Hero… Protect Your Heart! Did you know? 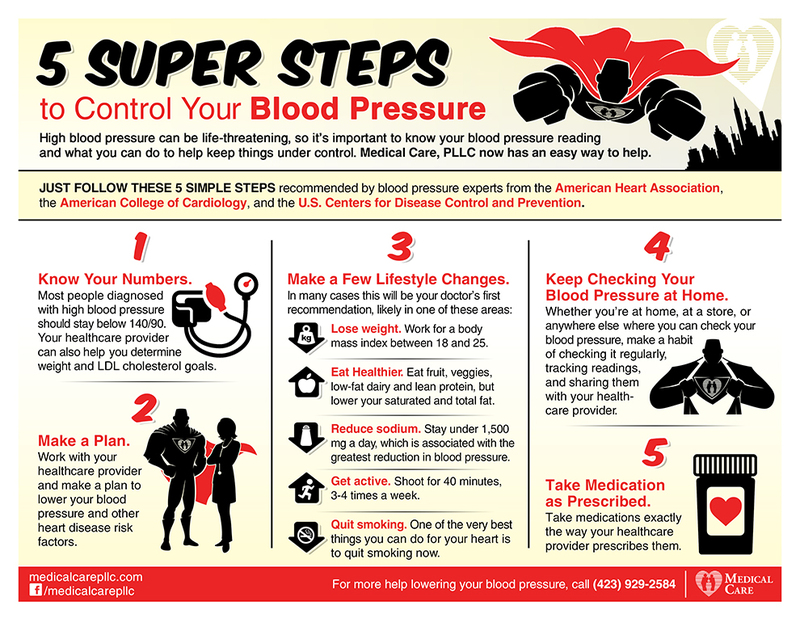 May 2015 is High Blood Pressure Education Month. 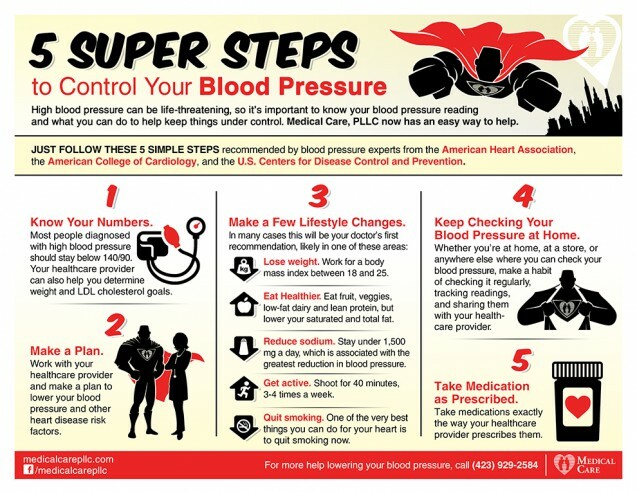 This May, Medical Care PLLC would like to share these 5 Super Steps to Control Your Blood Pressure!